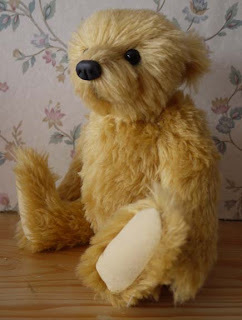 It is still very chilly for June in Kent, so good weather for teddy-making. I have been developing a new design. It is based on my larger realistic design, but smaller and slightly simplified. There are still 6 joints including a double-neck joint but the paws and pads have had a simpler treatment. 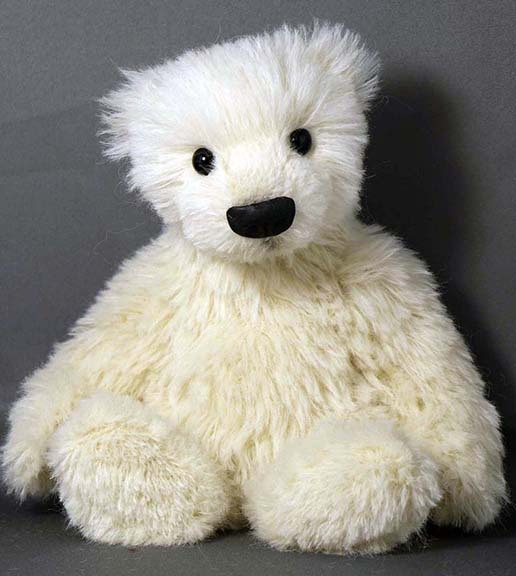 The bears are 10 inches tall and are made from lovely dense German alpaca. The are VERY cuddly and soft, so cannot stand unaided. They prefer to sit. 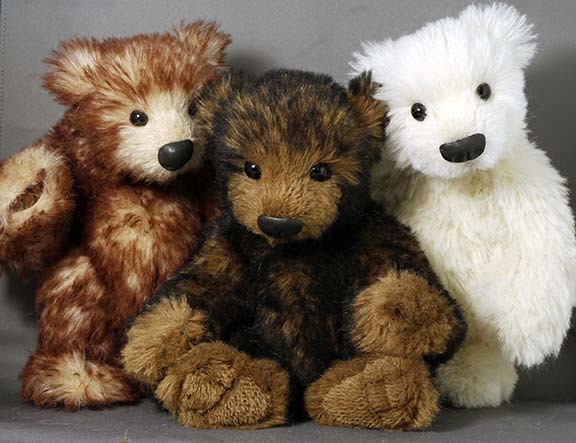 Their names are Tabasco, Cocoa and Snowflake. They are looking for loving new homes and are £80 each plus shipping. Tabasco and Cocoa have found new homes. Tabasco is off to Belgium and Cocoa will be leaving for the USA. 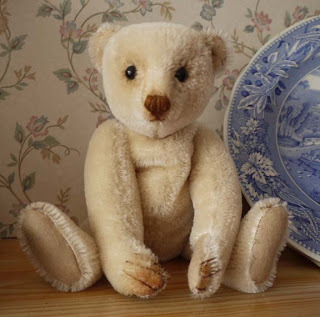 I have just completed three bears...well I should say, a pair of modern bears (as I see them staying together) and an aged classic bear. Let me introduce Romeo and Juliet. They are an adorable, sweet pair of bear cubs. They are made from a lovely soft mohair and silk fabric from Schulte. Unlike Shakespeare's Romeo and Juliet, they are very happy little bears. 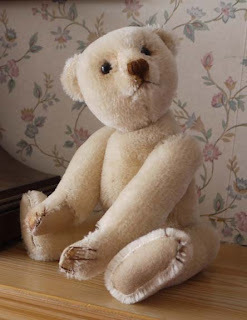 They are 10" tall and stuffed with polyfill and plastic beads to gently weight them. Their eyes are quality black glass. Their nose has been hand sculpted by myself using epoxy resin. Their faces have been gently shaded using acrylic paint. Juliet is pure white, while Romeo is a lovely sunshine yellow...not bright yellow and not as pale as a primrose, somewhere inbetween. 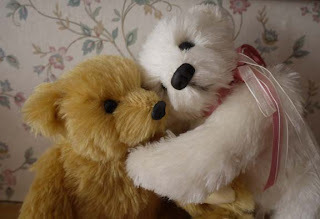 If you are interested in adding this pair to your hug, they are £50.00 each or £85 for the pair plus postage. 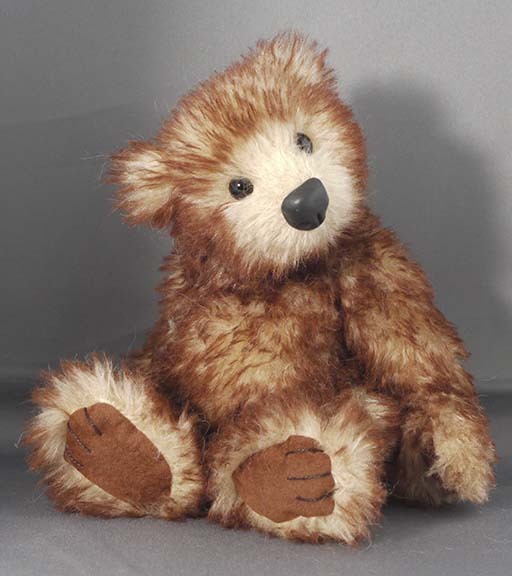 Lisbet is a little classic bear made in the style of bears from an earlier time. 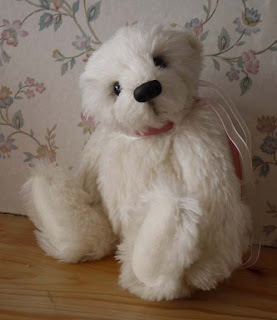 She is made from a short white German dense mohair. This has been aged using tea and coffee to give it an old appearance. 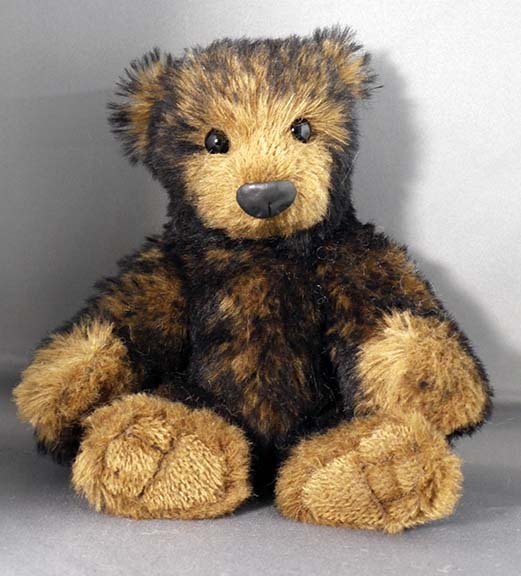 Acrylic paints have also been applied to areas where antique bears often show staining. She is 10" tall and has genuine Vistorian boot button eyes. She is loosely stuffed with a mixture of polyfill and plastic beads to give that 'slumpy' look. Her pads are made of German felt. Lisbet is looking for a new home. She is £60 plus postage. Please contact me if you are interested in any of these sweeties.